When my brother was born, my dad took the day off work. He was overjoyed about the birth of his first child and couldn’t wait to spend as much time as he could with him. The next morning though, being the tough working class guy that he was, my dad felt an even stronger weight on his shoulders to provide for his new family, so he pulled on his boots and headed back to work. As he put it, years later: “We had bills to pay. I had to get back to work. 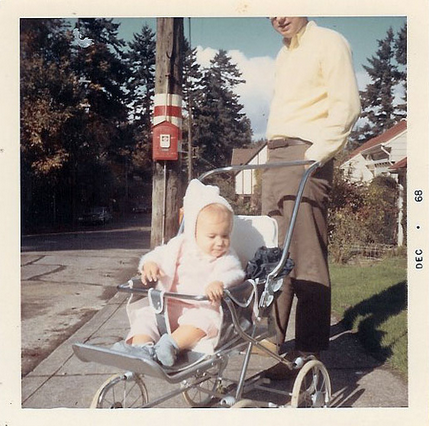 If something went wrong, it was my responsibility to pay for it.” That was in 1968, when paternity leave, paid or not, wasn’t a thought in anyone’s mind. Women were expected to take care of new babies, even if they also had paid work outside the home. Much to my dad’s disbelief (along with many others of his generation), cultural attitudes around childcare and family roles are changing dramatically. More and more young men today hope for, and maybe even expect, time off to care for their new infants and to be able to stay home with their children when they get sick – without fear of losing their jobs. Advocates for paid family leave are well-versed in the benefits of moms staying home with a newborn – increased breastfeeding for the infant (leading to a stronger immune system as well as increased mental and emotional development), bonding between mother and child, and more recovery time from the challenging and painful act of delivering a baby. 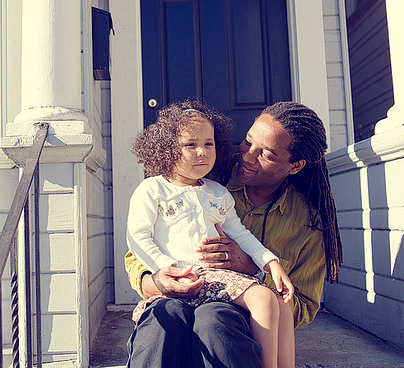 But what are the benefits of fathers staying home after the birth or adoption of a new baby? Increased gender equity aside, it turns out the news is good for entire families when dads are able to access paid leave. Research has shown that when dads stay home for at least two weeks after the birth of a child, they have more time to bond with their new baby and build confidence in their ability to be a father, moms see improved health and decreased rates of maternal depression, and babies are more likely to receive significant care from dads for years down the line (according to a study published in 2013 by the Organisation for Economic Co-operation and Development). Just like paid maternity leave benefits, paid leave for dads has gained some traction for workers in white collar positions, with the tech industry leading the way. We’ve heard the stories of companies like Facebook and Instagram providing four months of paid leave to new parents, because they know it makes good financial sense to retain workers rather than having to re-hire and re-train for the same position. Approximately 70 countries in the world offer paid paternity leave. It comes as no shock to working Americans that the United States currently guarantees neither paid maternity nor paternity leave. The Family and Medical Leave Act passed in 1993 at the federal level only guarantees leave, entirely unpaid, for workers who work for at least 12 months and 1,250 hours with companies who employ a minimum of 50 workers. That’s a lot of stipulations. Insider’s tip: only 12% of workers in the United States currently have access to paid family leave through their employers. Just like my dad in 1968, many men today are still only able to take a day or two off work (or none at all) when their new child is born – an event that is easily one of the most important in their lives. But a big difference between now and then is that men in the millennial generation aren’t satisfied. Dads today want the option of caring for their newborn and keeping a job. We shouldn’t make them choose. Join EOI as we work in partnership with the Washington Work and Family Coalition to achieve fully funded Family and Medical Leave Insurance in Washington state. It’s time for paid family leave in Washington state for dads, moms — and of course, for babies!